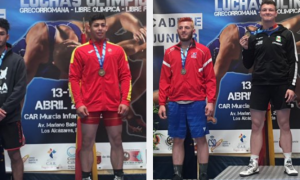 Going on this week at the Olympic Training Center in Colorado Springs is the second preparation camp for the 2018 Junior World Team. 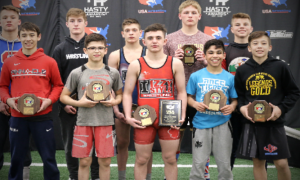 If you have been following along, you already know that the Juniors officially kicked off their journey to the World Championships last week in Las Vegas. It was off the strip at the South Point Hotel where the Seniors workshopped their tactically-heavy match plans, members of the U23 Team got together under coach Mark Halvorson, and the Juniors united as a group for the very first time. 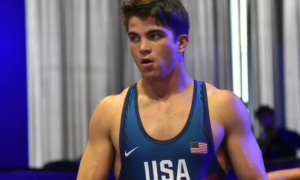 With the second Junior World Team training camp set to conclude today, we caught up with co-head coach Nate Engel in effort to get his assessment on how the athletes have performed throughout the week. 5PM: The Las Vegas camp was productive for the Juniors. It was intense, high-paced, unifying, and involved making adjustments. How has that momentum carried over to the Olympic Training Center this past week? 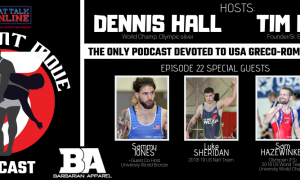 Nate Engel: I think one of the big takeaways that carried over has been the mentorship of the Senior-level athletes imparted on the Junior and U23 Team members. That was one big thing. Also, in Vegas they were really honing in on their skills — their takedowns from the feet, their turns from top, and just chaining it all together, so that’s another area in which I’ve seen a really big difference since we left Vegas and are now almost through with this camp. 5PM: You’ve had the Team now for just about two weeks, so you’ve witnessed an evolution in technique and approach. Are you pleased so far with the growth trajectory of the squad, and if so, how will adjustments be made once camp ends and everyone goes their separate ways? 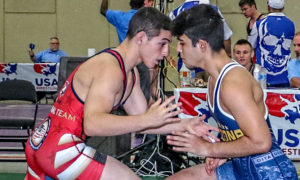 Engel: I think the progression has been really good because most of these guys who had been wrestling folkstyle throughout the year have been able to focus on Greco as a whole and they’re continuously getting better. That has been a great surprise. Going forward after this, we’ve held individual meetings with each World Team member and have set up plans. Because, after this they go back to their coaches, either their college programs, (Andy) Bisek and (Rob) Hermann, or in Peyton’s (Omania) case, with Coach Halvorson and then Michigan State. 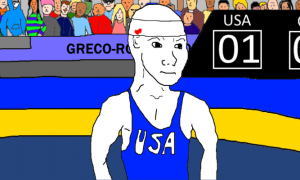 So, just setting a plan and making sure they’re still training, working on their Greco skills, and peaking towards the World Championships in September. 5PM: Will there be a protocol in place to where you or Herb House check in with each athlete once or twice a week to ensure they are adhering to their plans? Engel: Yeah, that’s our goal, to definitely check in with our athletes once or twice a week to make sure they are still doing everything right. And really, just checking in on them and showing them that we care, and that we’re building a Team to take to Slovakia that will bring home a Team trophy. 5PM: When does scouting and video breakdowns of potential opposition enter the equation? Engel: Right now, we gave them a website with their matches and I know a lot of the guys have already been watching. Myself as well, I know I will be watching once I get home and taking time out throughout the week to check out videos of future opponents for these guys. 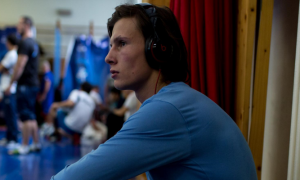 That is one big thing I’ve stressed, either at night or when they have free time to get on their computers or their phones and watching guys in their weight classes so they know what to expect so they are ready to go once they hit the mats in Slovakia. 5PM: Friday is the last day of practice and there will be matches in the morning and afternoon. What are you looking for the most during the matches that take place tomorrow? 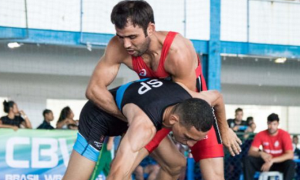 Engel: Just chain wrestling, hitting two or three techniques to score and then getting on top, whether they’re hitting a lift-gut-lift, a gut, or a gut-lift-gut. Just being able to string points together, and also, staying in good position and demonstrating good mat awareness. Not just that, but also them getting up the morning, having breakfast, and treating it like a real tournament. In between matches getting some good food in them so they have that whole plan down. That way, when they are in Slovakia it’s not something they draw up the day of and kind of fly with it. That’s one thing Coach Halvorson has really stressed to them, getting the right fuel in their bodies after a match and in-between bouts, just really getting that part of match strategy down.